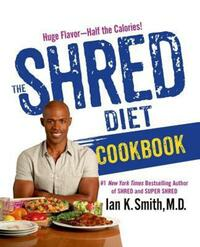 Tired of the same old cleanse? Instead of feeling rejuvenated are you feeling depleted, anxious, and cranky? (Not to mention . . . hungry?) A group of vegan taco scientists in Austin, Texas, know just how you feel, and now reveal their one-of-a-kind cleansing journey that anybody can follow and stick to—the Taco Cleanse. While the typical cleanse works by depriving you of your favourite foods, the plant-based Taco Cleanse rewards your body with what it naturally craves: tortillas, refried beans, guacamole! Begin with a breakfast taco, the most important taco of the day. Even if you do nothing else, your mood will brighten in just 24 hours. Keep eating tacos and within a week your outlook will be noticeably improved. After 30 days, cleansers report lasting benefits—and you will, too! 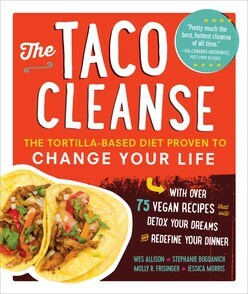 The Taco Cleanse shows you:•How to make everything from the tortilla—flour, corn, and waffle (! )—to the thirst-quenching “Supplements” (margaritas and other beverages) that best complement your tacos •What to put in the tortilla— beer-battered portobellos, mac and cheese, even tater tots •How to remake popular staples like picadillo, tacos al pastor, carne guisada, and fish tacos using plants instead of, well, animals. The Taco Cleanse is cheap, easy, and delicious. Its recipes are authentically Austin, and are sometimes even inspired by Mexico, where the taco was first created. Everything tastes better folded (exactly once) into a tortilla. Just eat one or more tacos at every meal, adding margaritas as necessary. It’s that simple. 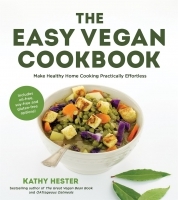 More than 75 serious vegan recipes to make and eat while laughing at a hilarious diet book parody Prevent or reverse taco deficiency. Get that fresh taco-y feeling with over 75 seriously tasty vegan recipes.